I feel super lucky to live in the Bay Area; there's such an abundance of incredible ingredients. The wide range of gourmet mushrooms available at my local market, The Milk Pail of Mountain View, makes me giddy. The possibilities when presented with such fine ingredients are nearly endless. 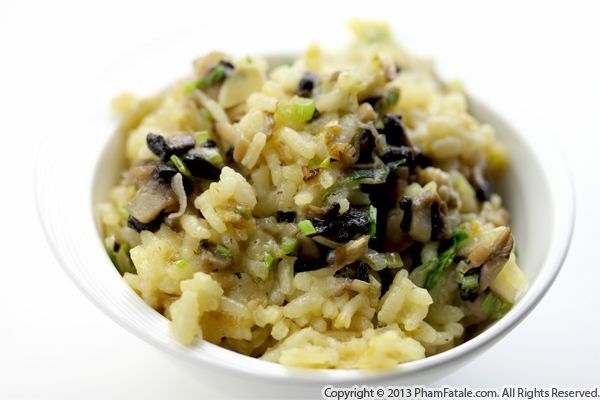 I could have prepared a simple, flavorful omelet, but I decided to go for a more delicate dish: vegetarian risotto. To do so, I used whatever the Milk Pail carried on that particular day (I didn't select everything because the prices of some of the mushrooms gave me the chills). 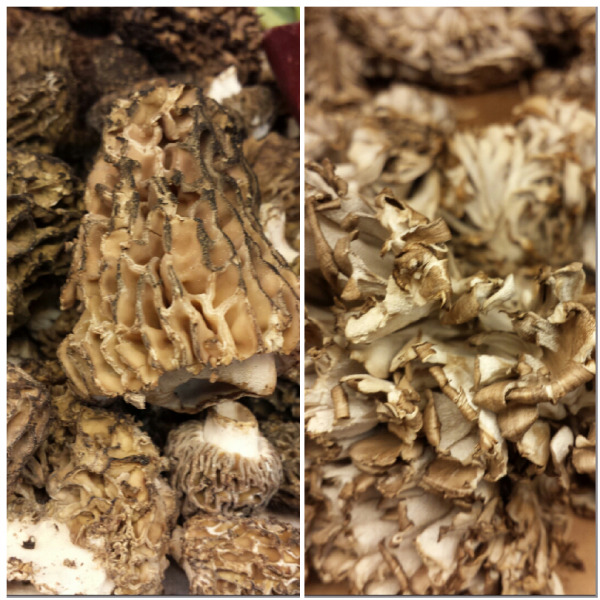 In the end, I included fresh morels, maitake mushrooms, Hegehogs and brown crimini mushrooms. I loved how this gastronomical adventure was able to please and feed my loved ones! 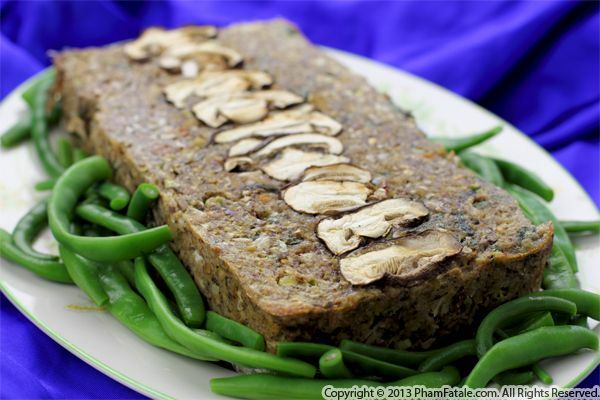 Living with so many vegetarians in my home, I always challenge myself to develop new meals that fit our family's diet. Daddy, my father-in-law (he's allergic to mushrooms), is out of town this week, so this wild mushroom pâté worked fine for last night's dinner. 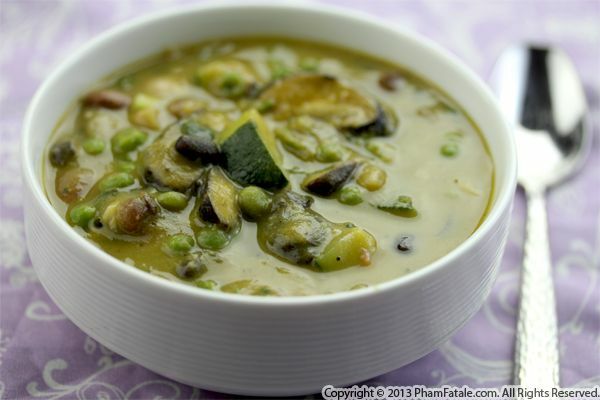 If, like me, you're not a vegetarian, this vegetarian dish is proof that vegetables such as mushrooms can be as satisfying as meat. I used a combination of fresh thyme, morels, chanterelles, shiitake and Portobello mushrooms. They're rich in umami, which is the savory flavor quality that sorts of mimics what we get from meat. The weather isn't as warm these days compared to last week. I prepared a hearty soup made exclusively of vegetables I was able to harvest from our garden, except for the canned pinto beans. Harvesting ingredients planted by the girls, Lulu and even baby Aria made me proud. They appreciate that we get to grow organic fruits and vegetables. So far we have been able to eat strawberries, Creole onions, green onions, zucchini, peas and the first tomatoes that have started peaking. Can't wait to see what the rest of the season will have for us! My husband Lulu has been traveling a lot these days for his work. Being a vegetarian has never been an issue since we live in the Bay Area. But sometimes it can be tricky for him to find foods that fit his diet, especially when visiting the Southeast. Since he hadn't eaten much apart from lettuce and boiled tofu, I figured comfort food would fill the void he had experienced while traveling. 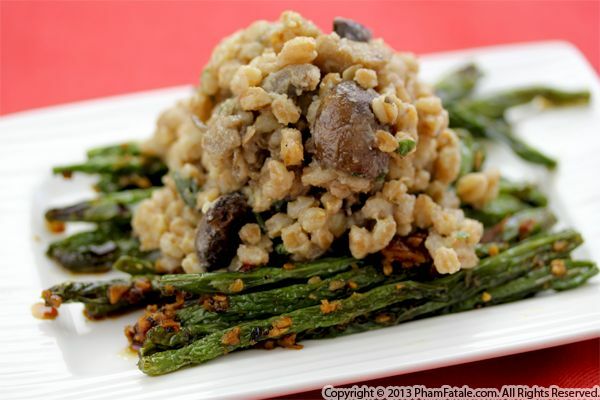 For his return, I prepared a mushroom barley risotto because barley is a nutritious grain that supports a healthy lifestyle with complex carbohydrates and proteins, compared to the more traditional rice grains. The only downside is it's much less starchy than rice. So I added Colby cheese for texture and color and flavored it with nutmeg to complement the natural aroma of barley. Since the barley risotto didn't have a striking contrast of colors. I served it on a bed of string beans. When serving foods that are visually a bit monotone, I always try to pair them with other colorful ingredients. Remember, you eat with your eyes first! 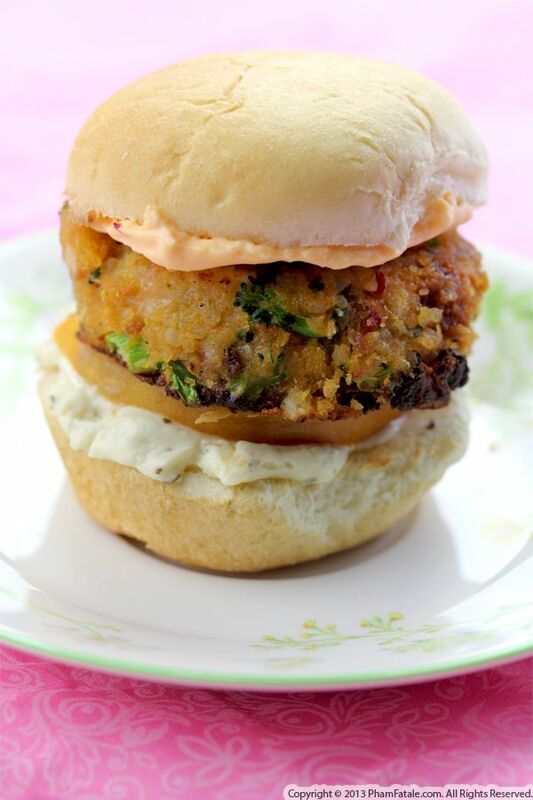 Today is Meatless Monday, so I prepared vegetarian quinoa burgers for the occasion. I flavored them with broccoli and triple cream cheese. The burgers were so flavorful and I felt in veggie heaven; not one second did I crave the meat. The reason behind the deliciousness of the burger is the creamy and velvet cheese. The broccoli provided a great contrast of color and the necessary greens for a balanced diet. Page 15 of 17 pages.